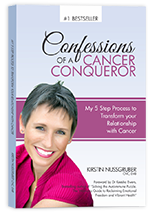 - Kirstin's Cancer Care Which Salt Is Best? Which Salt Is Best? One way in which I could get you into your kitchen to cook scrumptious, home cooked meals is to help you make them tasty. 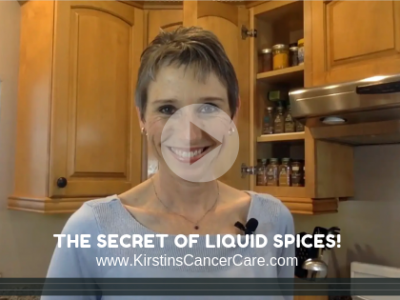 Today, let me highlight a basic spice staple – Salt. We do not need to demonize salt, it has a firm role in the kitchen, and makes food really flavorful. 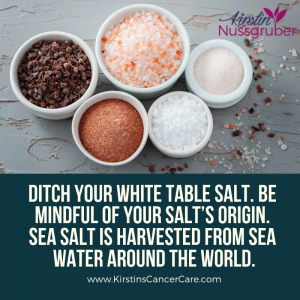 We want to be mindful which salt we choose, to avoid potentially harmful additives that can add to our toxic burden and affect our overall health. Salt is either harvested from sea water, or from inland sources such as ancient mountain ranges. In the Middle Ages it’s worth used to be prized higher than gold, serving as the main food conservation method at the time, thus ensuring survival. When we lived in Munich a few years ago, I spent a considerable amount of time in the city museum, as Munich was celebrating its 850th year history. Munich was situated on the salt road, which is what travel routes that transported salt from its point of origin were called. Salzburg in Austria has its name because of the salt mines deep within the Alps, “Salz” being German for salt, and its salt was trade throughout Europe. Y ou may ask, how can salt taste anything else but salty? Yet its flavor can vary, depending on which other components have attached themselves to its main molecule, sodium chloride, and this is where the origin and trace mineral content becomes important. First of all, ditch your white table salt. It is ultra-heated to up to 1,200 degrees Fahrenheit which destroys valuable nutrients, is bleached to look white, and contains unnatural additives such as aluminum-based anticaking agents to allow for a smoother sprinkle. 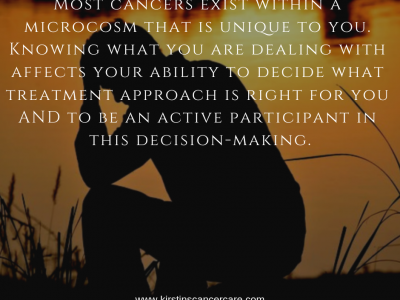 There is also debate whether the added iodine is actually absorbable by our body. 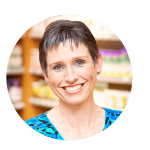 Let’s rather focus on mineral rich salt that actually add a nutrient profile we can benefit from. We have a couple of options available to us. As with many products, be mindful of its origin. Sea Salt is harvested from sea water around the world. – tweet this! Salt farmers in the coastal region of Brittany, France, for example, have been doing this for centuries. Also called Celtic Sea Salt, it is rather dull and gray, and not very attractive looking. It is actually sticky, but it’s supposed to be like that because it has been dried by the sun and wind and naturally contains a higher moisture content. This is also proof that it doesn’t contain any anticaking agents. It does not need any processing and is thus as raw and natural a product as it comes. You may have heard of the priced “Fleur de Sel”, French for “flowers of salt”, which is harvested from the same salt pools in Brittany. Its crystals are white because it is harvested from the surface of the sea water pools, preventing any contact with the natural clay found in the region. It is very expensive as the harvesting happens only when climatic conditions are optimal. 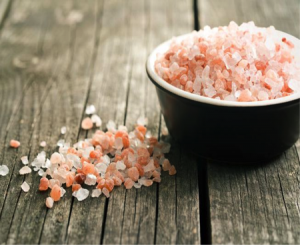 Fleur de Sel should ideally be used only on cooked foods as a delectable finishing touch. Another option is Herbed Sea Salt. This sea salt has dried herbal extracts added to it. 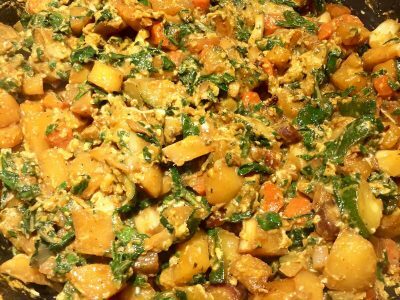 It gives a different flavor to foods and is great with foods you are about to consume right away, such as salads or, a favorite of mine, a soft-boiled breakfast egg. Then there is the pink stuff. This is rock salt from the Himalayan Mountain Range, it comes from deep within the earth. This mountainous salt stems from ancient sea salt deposits. The pink color is due to its iron content, it also contains an impressive list of over 80 different trace minerals. By the way, Kosher salt is simply sea salt that has an additional processing step involved to ensure it conforms to the Jewish requirements of having all blood extracted from meat before consumption. Raking during evaporation creates a larger crystal structure that has a higher liquid absorption rate. It is naturally crunchy and does not dissolve easily in your mouth. I also have a black salt at home, which is unrefined volcanic salt with the black color coming from activated charcoal from lava deposits. Great for digestive upsets and aiding the body in absorbing toxic byproducts, a great salt to include in a dedicated detox cleanse. Red Hawaiian sea salt has its color from the reddish clay from lava deposits in that region. 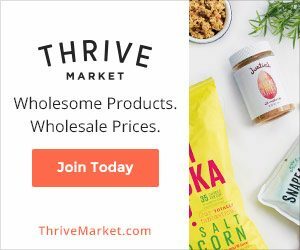 Both these salts have a distinctive taste and should be added as a taste enhancer on cooked foods such as fish, seafood and roasted vegetables. Lately, smoked salts have become a trendy addition to the supermarket shelves. They do not carry any additional nutritional benefits. If processed correctly the sea salt crystals have been smoked over a bed of coals. They lend a nice Smokey flavor to your dishes. Halen Mon salt comes from Wales and is smoked over ancient oak wood, lending a brownish hue to the finished salt. Beware of those that simply add smoky flavoring! Halen Mon salt comes from Wales and is smoked over ancient oak wood, lending a brownish hue to the finished salt. Beware of those that simply add smoky flavoring! When it comes to which salt you prefer, test them out! – tweet this! Sea salt can be infused with remnants of algae which in themselves add aroma and stimulate our taste buds. The size and shape of the actual salt crystals contribute to the end taste. Larger salt crystals that dissolve more slowly, thereby releasing a crunchy aroma, are best added as a final touch on cooked food. Get your salt intake from your own salt shaker and avoid processed foods as they are generally high in added sodium. When considering your salt intake, don’t forget to evaluate how much salt you may be exposed to by eating out and any processed and packaged foods you are eating. 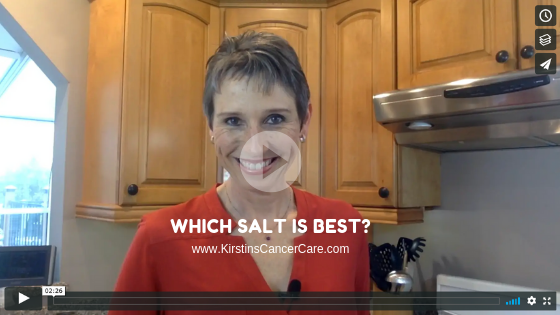 Avoid any so-called “low-sodium” salts or salt alternatives, the main molecule to replace sodium chloride is potassium chloride, and excessive amounts can lead to certain detrimental health conditions like kidney issues, and gastrointestinal problems. It’s not all about salt! 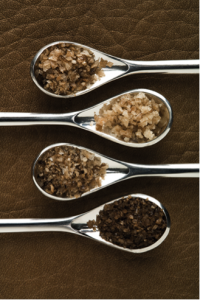 Use salt sparingly to enhance the flavor of your own cooked meals. Sometimes adding herbs, a little acid like lemon juice or vinegar and other spices will enhance flavors in synergy with salt. Use any of the mineral rich salts so you add vital nutrients besides simply flavor to your food, and only natural goodness to your body. Final tip, what to do if you have used a little too much salt in a cooked dish? If you have added too much salt to a soup, add some egg white which you can scoop out again after it has hardened and turned white, it absorbs excess salt. Another option is to add grated potato. Just know that neither of these tricks will work if you happened to accidentally decant half your salt shaker, in that case, all hope is unfortunately lost. Related Article: Where do you find all that stuff?